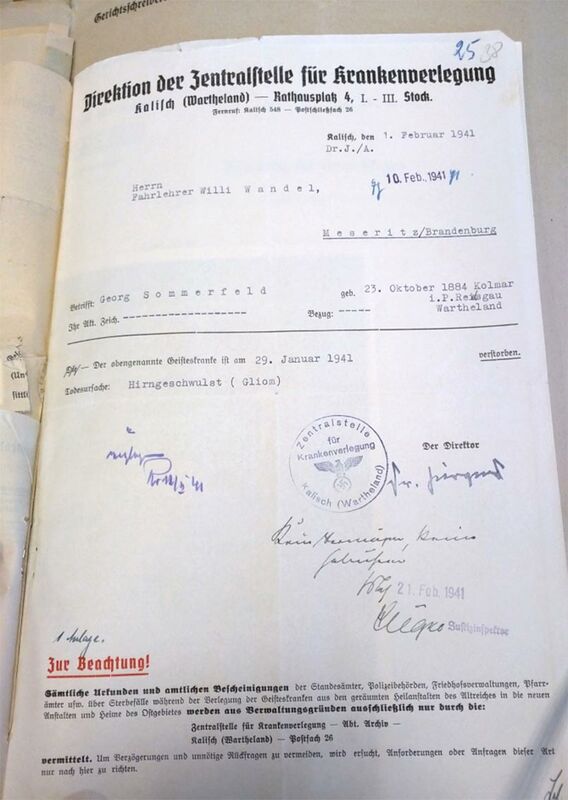 Research of Nazi war crimes, Library and Archives | Tiergartenstrasse4Association e.V. The founding purpose of the Association is to be a center of excellence for original research of Nazi war crimes in our designated topics. Discover more of the Associations designated research topics. 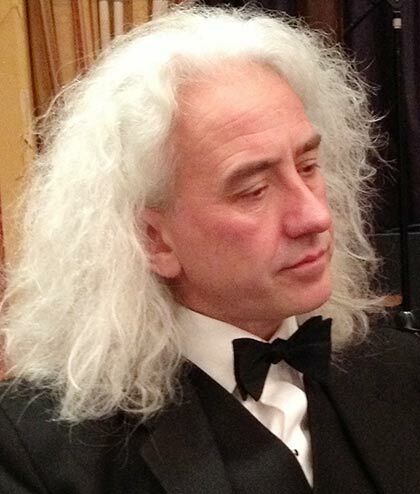 The Association was founded by citizens from Great Britain, Poland, Germany, Austria and the United States of America in 2014. The Association continues the work of the former Tiergartenstrasse4Association founded in Poland in 2003 which focused on the research of Chelmno (Kulmhof), the Warthegau and euthanasia in Nazi occupied Poland. 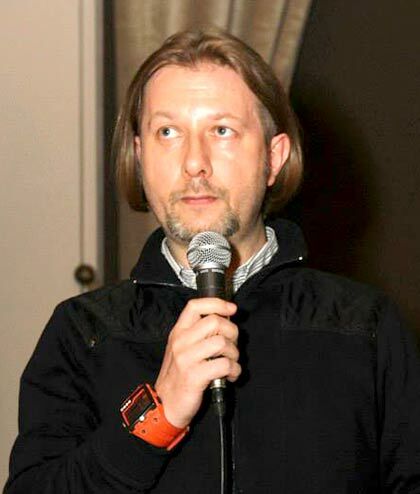 We dedicate Tiergarten4Association to the memory of Mr. Artur Hojan, journalist and researcher from Poland, inspiration and good friend, who was influential in our work. In 2014 the Association moved to Berlin and was re-founded according to German law on 26.6. 2014, and registered under VR 33554 by Amtsgericht Berlin-Charlottenburg. The TIERGARTENSTRASSE 4 ASSOCIATION Library and Archive is open by appointment. The Post 1945 book collection catalogue can now be accessed from the link below. It is intended that the other collections of the Association will be subsequently added to this online database. The library of the Association is located in Billy Wilder Promenade 31, Berlin and consists of around 18,000 volumes in German, English, Polish, French, Italian. The library is catalogued on the library software package, Faust. 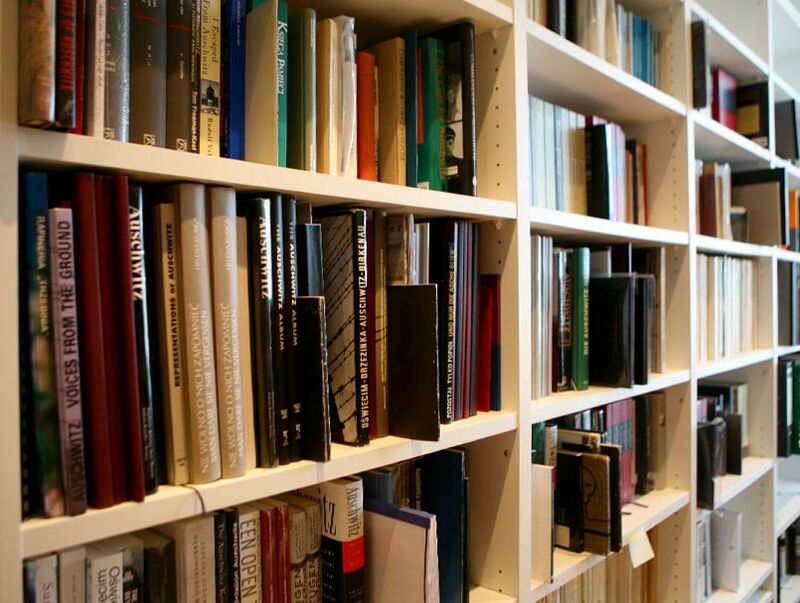 Members of the Association have collected the library over the last 30 years. The post war library collection broadly covers the subject matter of the Holocaust, Nazi war crimes and the Nazi period with a specific focus on: concentration camps, death camps, euthanasia, eugenics and racial hygiene, war crimes trials and forced labour. The library also encompasses a large collection of pre 1945 books, journals and newspapers related to eugenics, racial hygiene, German nationalism and anti Semitism. The library collection of the Association is currently growing by about 700 items per year. To support the research activities of the Association, we have over 1 million digital copies of documents, investigations and war crimes trials. This includes full copies of the British Belsen, Neuengamme and Ravensbruck and their sub camps trials and investigations from 1945 to 1947. 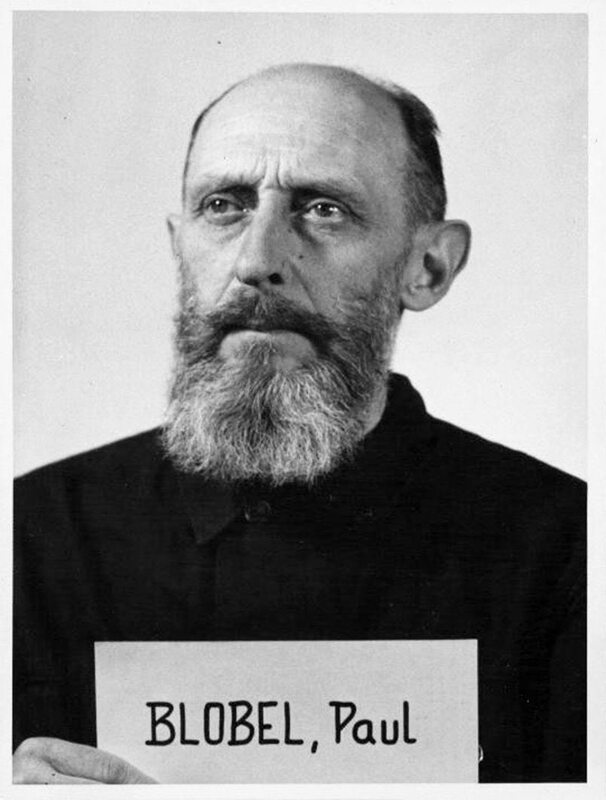 Also full copies of the US Dachau concentration camp trial program, 1945 to 1947 encompassing approximately 300 trials and investigations of Dachau, Mauthausen, Flossenburg, Nordhausen, Dachau and Buchenwald and their sub camps. Also the Hadamar and Malmady trials. In addition, full copies of US untried cases in relation to concentration camps, the holocaust and euthanasia. Also the five US Nuremburg trials related to our research topics: Doctors trial, RuSHA trial, Pohl trial, Einsatzgruppe trial, and Milch trial. The Association also has copies of document files related to the Nuremberg trials and other sundry collections put together for those trials. In addition, concentration camp documents such as copies of the death books from Mauthausen, Dachau and Flossenbürg concentration camps. From Poland we have full copies of amongst others the Polish trials of Artur Gresier, Albert Forster, Rudolf Höss, Auschwitz, Amon Göth and Hans Biebow. 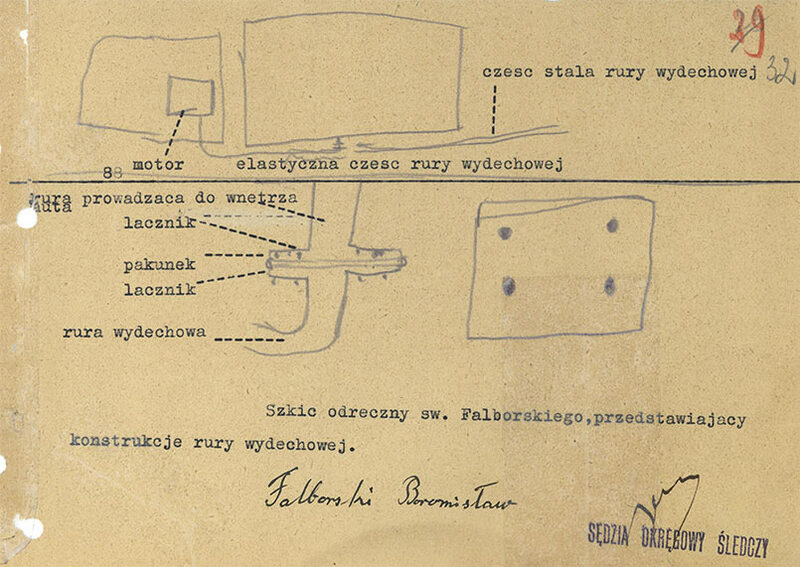 Also Polish investigations of euthanasia in Nazi occupied Poland. 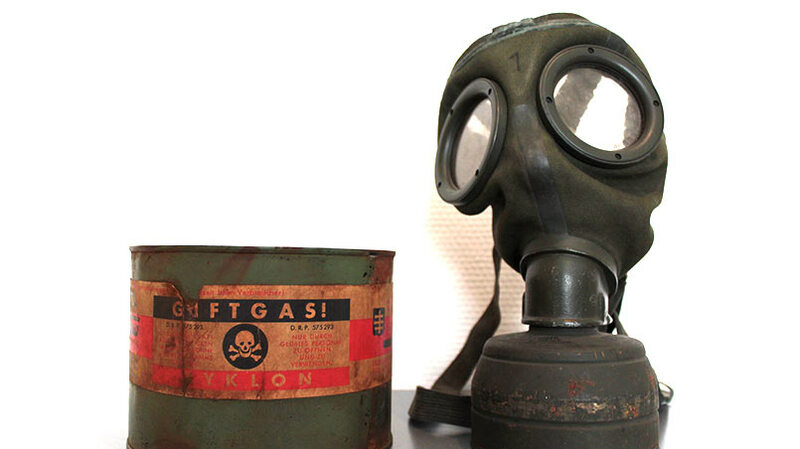 We continue to collect archive material related to our research topics: euthanasia, gas vans, Sonderkommando 1005, Aktion Reinhardt camps, Kulmhof and the Warthegau from German, Austrian and Polish archives. The collection is currently growing by approximately 50,000 pages per year. The Association has a large collection of around 900 documentary films in English, German, Polish, French and Dutch related to the Nazi period with a focus on concentration camps, death camps, war crime trials and euthanasia. There is also a large digital collection of Newsreels from post 1945 covering war crimes trials and Nazi atrocities. In addition, there is a full digital copy from the Bundesarchiv of Nazi period documentaries and films. The documentary films collection is currently growing by approximately 50 items per year. The Association has a collection of 120,000 photographs taken by Cameron Munro over the last 30 years on research visits to sites of Nazi war crimes. In addition, the Association has collected copies of thousands of photographs related to concentration camps, death camps and Nazi atrocities from archives in the US, Great Britain, Germany and Poland. The Association also has its own collection of original photographs related to concentration camps and war crimes trials. The photograph collection is currently growing by approximately 5,000 photographs per year. 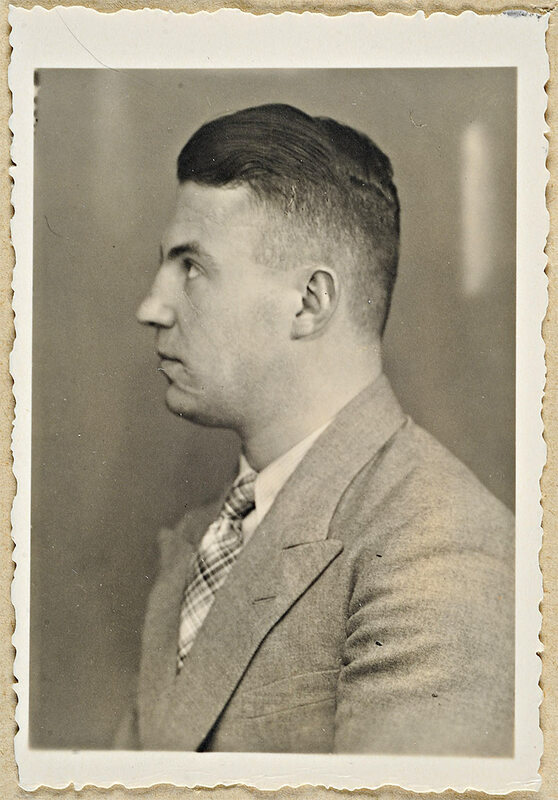 The Association has a collection of more than 500 original photograph albums of ordinary Germans from the pre war and war period covering such areas as the Hitlerjugend, BDM, RAD, Wehrmacht, SS, and general home life. The Association also has a small museum in Billy Wilder Promenade encompassing original artefacts from the Nazi period with a specific focus on concentration camps, eugenics and racial hygiene. The Association has been researching Nazi war crimes in the Warthegau for the last 10 years. The main focus has been on the death camp Kulmhof, the Warthegau ghettos and euthanasia in the Warthegau. Members of the Association have given and continue to give presentations and lectures on Kulmhof and the euthanasia program. The Association also co authored and sponsored the exhibition on Kulmhof in the Neue Synagogue in Berlin in 2011. The Association has been working on a major book on Kulmhof and the holocaust in the Warthegau for the last 5 years. This has been a significant task sourcing copies of all original documentation, investigations and trials in Germany and Poland. As part of the research for this book we have also been working on a detailed reconciliation of the number of victims killed in Kulmhof broken down between Jews (by ghetto), Gypsies, Polish and Lidice children, Russian prisoners of war and Polish mental patients. We have also been researching the approximately 300 men who served in Sonderkommando Kulmhof in the two periods of its operation. 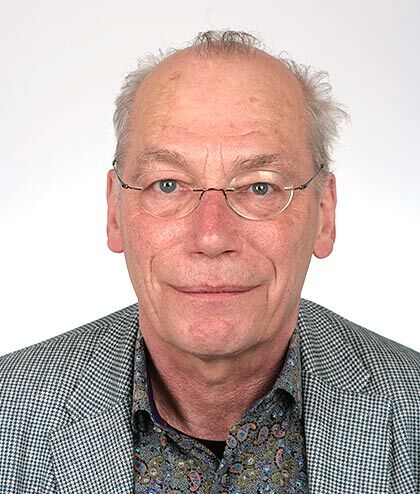 Members of the Association have been researching the euthanasia program implemented in Germany and some occupied European countries between 1939 and 1945 since the early 2000s. 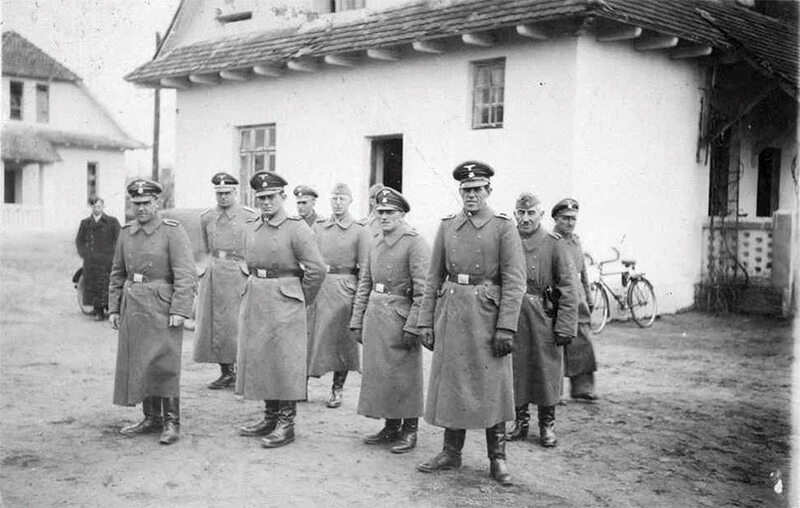 One of our particular interests is the national socialist program of extermination of psychiatric patients in occupied Poland as it enables us to tackle several key questions surrounding Nazi extermination and occupation policies at once. Members of the Association have spoken at a number of conferences about this topic and have published several articles, papers and books. We seek international cooperation in order to popularize knowledge and to further research in a much understudied field of Nazi policies. Header of the Zentralstelle für Krankenverlegungen, responsible for transports of mentally ill patients to and in the Warthegau. While researching Kulmhof, the Association has obtained a detailed knowledge of the operation of the gas vans in Kulmhof. To date no book has been written on the full operations of the gas vans. The Association is currently collecting material on the history of the gas vans and their operations in: the euthanasia program in the Warthegau, Kulmhof, Mauthausen, Riga, Minsk, Belzec, Russia by the Einsatzgruppe, and Serbia. Also other possible smaller scale use of gas vans in Auschwitz, Ravensbrück, Sachsenhausen, Lublin, Soldau and other sites. The aim is to produce a detailed history of the operations of the gas vans. This Sonderkommando set up in 1942 and led by Paul Blobel was responsible for organising the disposal of bodies of Nazi victims that had been buried in mass graves all across Eastern Europe from September 1939 to mid 1942. 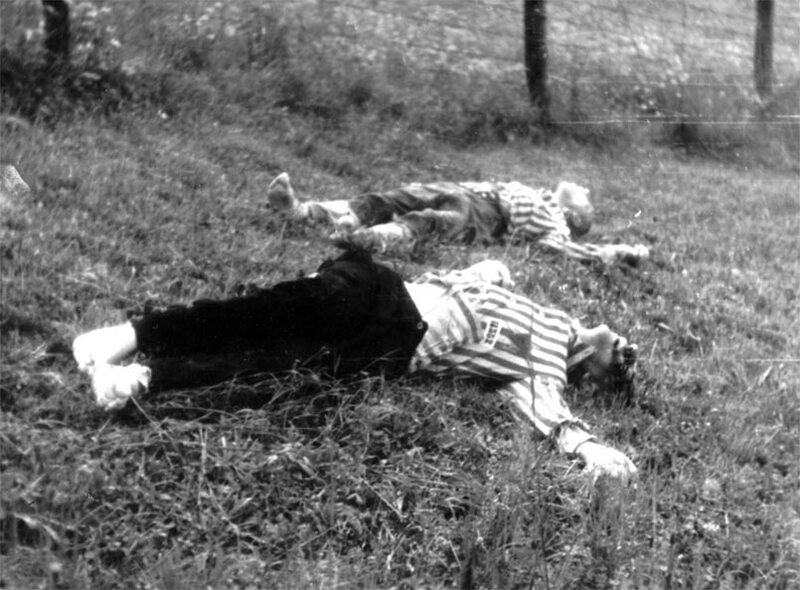 The Sonderkommando undertook its tests on the disposal of bodies in Kulmhof in June and July 1942. There is currently no serious publication covering the operations of Sonderkommando 1005. In addition to the research we have undertaken on the operations of the Sonderkommando 1005 in Kulmhof, we are now collating source materials on the operations of Sonderkommando 1005 in Russia, Latvia, and Lithuania with the Einsatzgruppe, Poland, Aktion Reinhardt camps, Auschwitz-Birkenau and other sites. The aim is in the future to produce a detailed history of the operations of Sonderkommando 1005. Members of the Association have spent significant time in Archives across the world researching and copying source material for our research topics. Since there is no single database of Nazi war crimes trials and investigations across the world we have and continue to put together our own database. 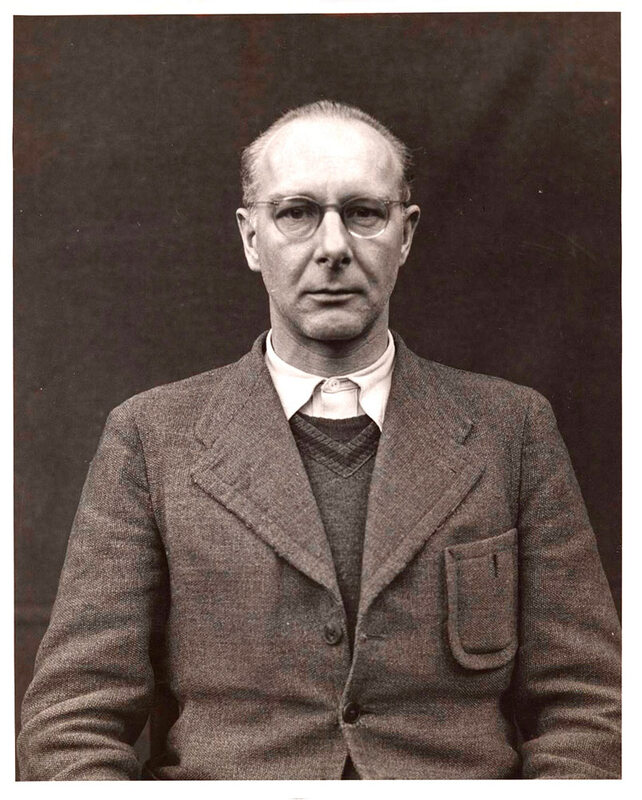 We have a complete list of British and American war crimes trials and investigations. We also source such information for our research topics in archives in Poland, Germany and Austria. In itself we have an interest in the policies, procedures and politics of the war crimes trial programs in Poland, Britain, France, Russia and the US from 1945 to 1948 and in German and Austrian trials from 1946 to the present day. 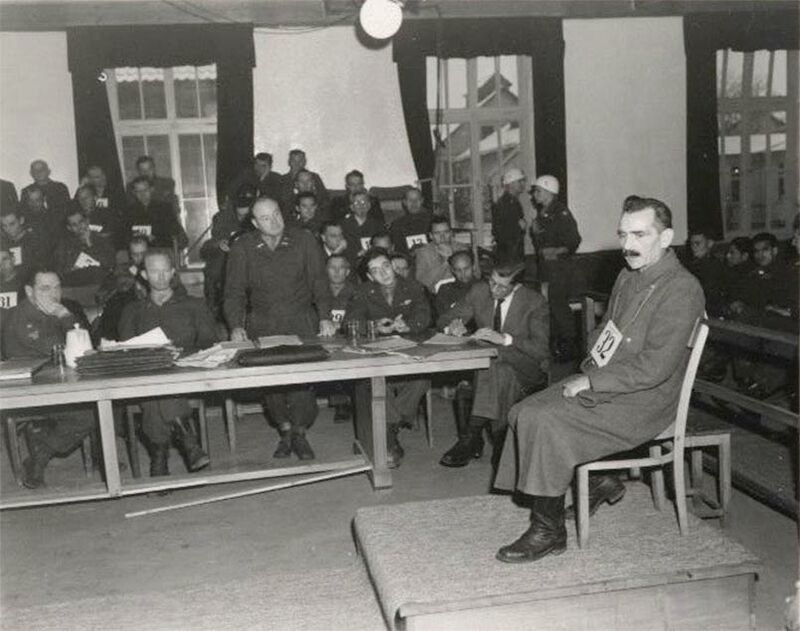 Defendant Wilhelm Witteler SS chief physician in Dachau concentration camp gives evidence at the US Dachau main concentration camp trial 1946 (source NARA). Association members have been researching the operation of the concentration camps for well over 30 years. 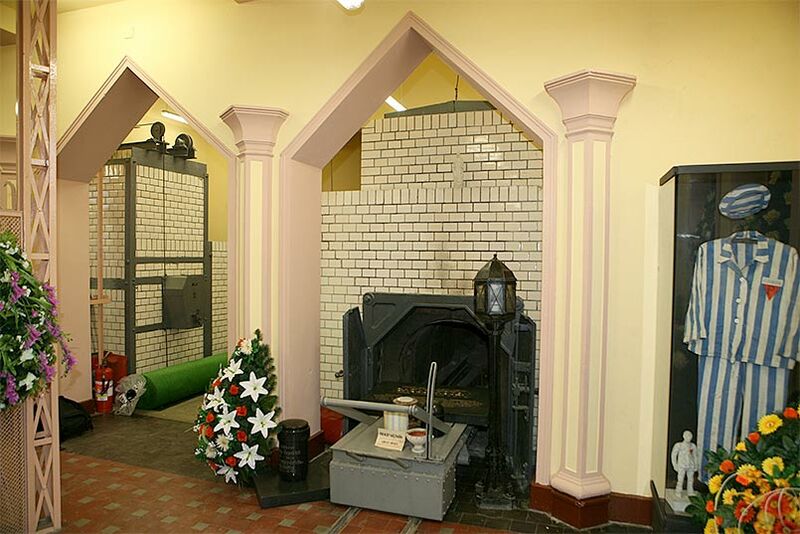 We have a particular interest in the history and use of crematoria in the concentration camps and the links between the camps and the euthanasia program (14f13). Members have undertaken many projects over the years for example spending 6 months in Poland researching, re-finding, documenting, and photographing the sub camps of Auschwitz. We have collected a vast amount of original documentation, especially from war crimes trials and investigations and also a large collection of books and journals covering the main concentration camps and their sub camps in: Auschwitz-Birkenau, Bergen-Belsen, Buchenwald, Dachau, Flossenbürg, Gross Rosen, Kaiserwald, Mauthausen, Mittelbau-Dora, Natzweiler, Niederhagen, Plaszow, Ravensbrück, Sachsenhausen and Stutthof. 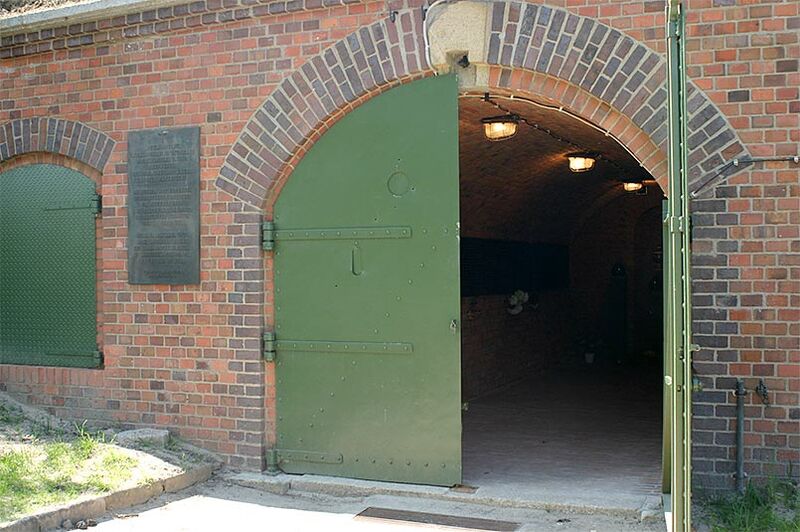 Members of the Association have been researching the Aktion Reinhardt camps for well over 20 years. One of our members, Chris Webb has written and published several books on Treblinka, Sobibor and Belzec. Chris was also one of the founding members of the Aktion Reinhardt Camps (ARC) website. 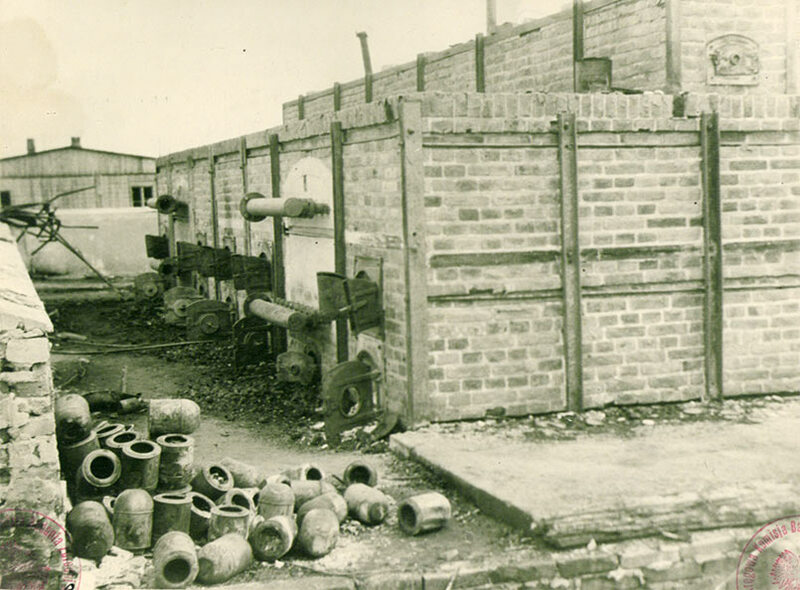 We continue to research and collect material on the Aktion Reinhardt camps and associated Jewish labour camps, Trawniki and Poniatowa and the ghettos of the Government General. The Association holds a large archive of material on the Aktion Reinhardt camps including war crimes trials and investigations from Poland and Germany. Examples of Presentations given by the Association. 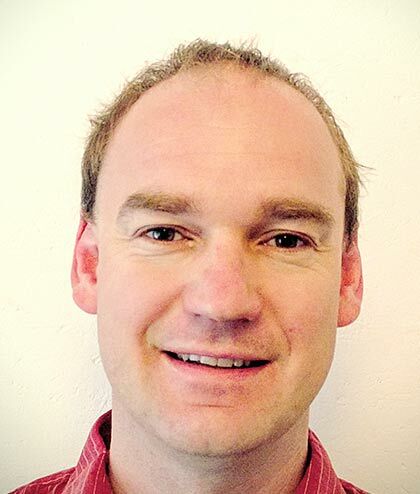 The website TIERGARTENSTRASSE 4 ASSOCIATION is preserved for the memory of Artur Hojan. Die Cookie-Einstellungen auf dieser Website sind auf "Cookies zulassen“, um das Beste Ergebnis zu ermöglichen. Wenn Sie diese Website nutzen, ohne Ihre Cookie- Einstellungen zu ändern, oder Sie klicken Sie auf "Übernehmen" unten, dann erklären Sie sich mit diesen einverstanden.